This talk is by winner of the Dover Prize 2019 – artist Bethan Maddocks. The Dover Prize is a bursary providing artists with time to think, research, reflect and experiment with new ideas and create work to be premiered in Darlington in 2021. Bethan is an artist and story collector; her work explores social history and the stories of people and place. 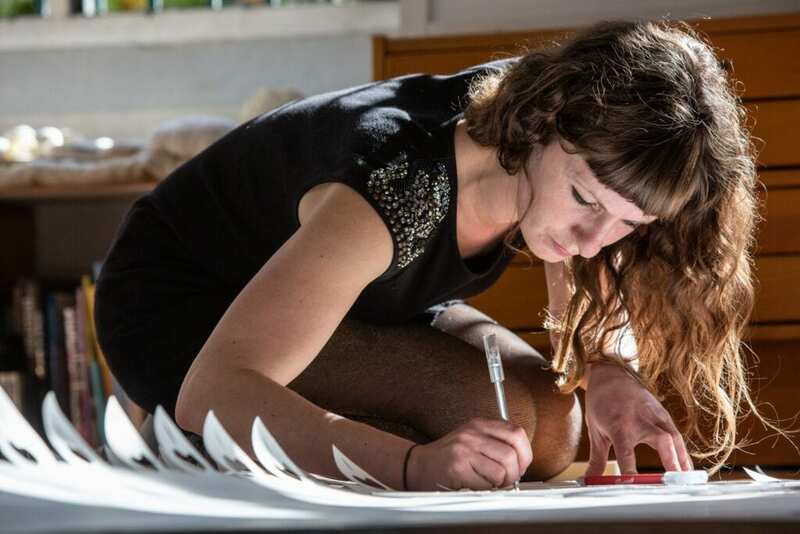 She makes large, interactive paper sculpture and works with communities to develop research on themes such as the Newcastle witch-trials, the prehistoric forests of Northumberland and the north’s socialist history. Over the next two years Bethan will explore Darlington’s history, architecture, archives and historical characters to make work embedded with tales of Darlington. The talk will be an opportunity to hear about Bethan’s work and participants will also be invited to informally discuss and share stories of people and places of interest that Bethan could explore during her bursary.